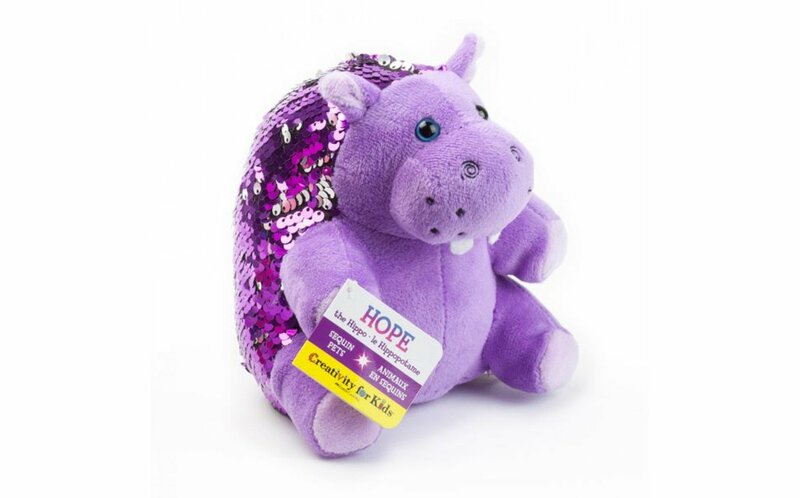 Hope the Hippo is lightly weighted, covered in sequins, and a sensory delight. At 0.93 lbs she is lightly weighted for calming relief but also small enough for travel. Measures 6" tall and 4" wide.